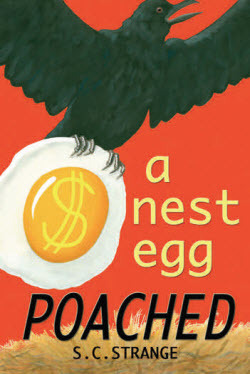 CIPA member and author, Sue Hughey’s first adult novel, A Nest Egg Poached, was just published under her pen name, S.C. Strange. The story is about a couple living their retirement dream traveling in a luxury RV when they find out that their sizable nest egg has been poached, leaving them nearly penniless and too young for Social Security. Humorous encounters with zany characters, needy animals, and screwball situations await them in their trek across America and beyond. Available in print and Kindle on Amazon.com with expanded distribution coming soon.